Back in April, I announced that I was teaming up with Basic Invite to give you all the help you may need with your wedding invitations, and released the first guest blog post from the amazing people at Basic Invite. Well…..they’re back with another guest blog post for you to take a peek at! 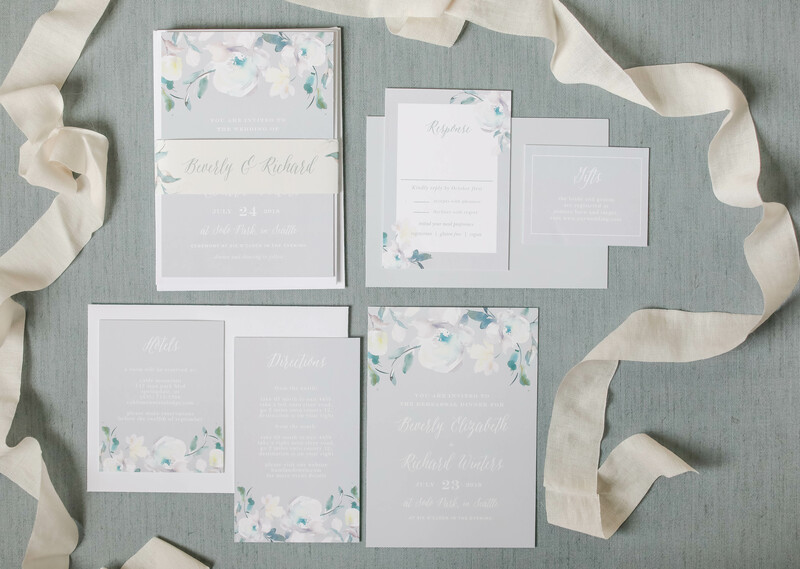 This one goes into more detail about the oh so important wedding invitation suite. Read on to have your questions answered! 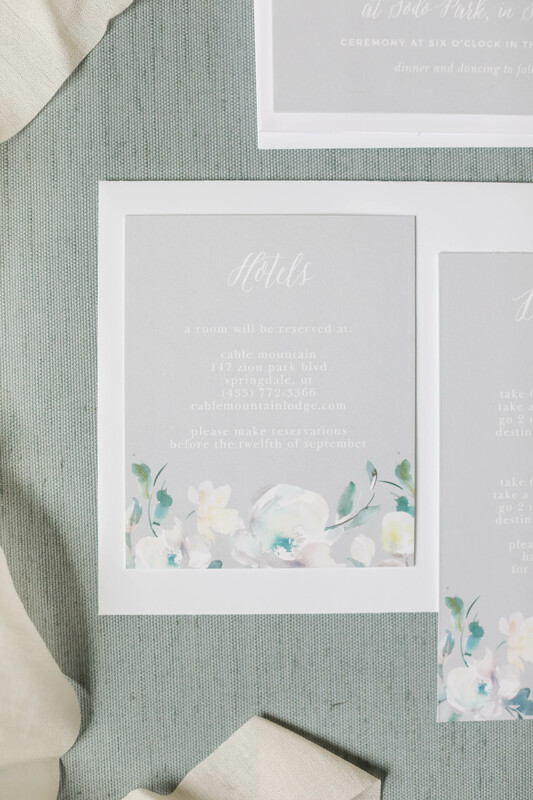 It’s easy to feel unsure of what to include with your custom wedding invitations. What are all the different cards usually packaged along with an invite? And are they really necessary? 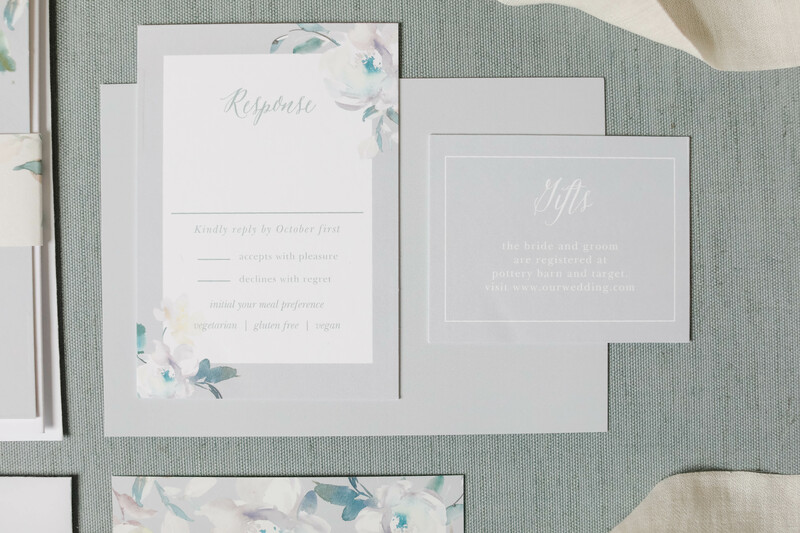 If this has been something on your mind consider it handled because Basic Invite is back with more wedding invitation tips! This time they’re deconstructing a wedding invitation suite and giving us an exclusive peak inside the envelope. You open your mailbox to find an envelope. When you open it, out pours a wedding invitation! You’re excited and joyful… I mean who doesn’t want to be invited to a wedding? Then you soon realize that there’s not only a wedding invitation but also about 4 or 5 additional cards…Hmm. You sort them all out – keep the important details and get rid of the rest. You then use this knowledge as a starting point for your own wedding invitations but everything might not apply to you. So, put a pause on this method and read on for a full list of what’s what then decide for yourself what to include! Obviously the wedding invitation is the most important part. That’s the glue that holds your special day together. This should be included in every wedding suite without exception. It’s proper etiquette to provide a formal invitation that includes who, what, where, and when. And then to use your enclosure cards for all the details. Here is where things can get a bit tricky! But if you know the ins and outs of enclosure cards it’s really simple to decide what stays and what goes. Enclosure cards are those smaller, almost random cards included in most wedding invitations. We are talking rsvp cards, reception cards, registry info, accommodations, and even direction cards. Let’s break it down further. RSVP information should always be included. There are two ways. 1. An RSVP card with information to be filled out with a pre stamped return envelope included. 2. You can include an RSVP information line at the bottom of your card requesting a direct call, text, or email response. Either way is fine, but be sure it’s accurate and follows proper etiquette. Only necessary if there are additional, vital details like a venue change or pause in festivities. Otherwise you can include a line stating that the reception is immediately after. Some couples opt out of creating a registry and instead have a gift table. If you are going to register be sure to include a separate card for with the information. Trying to squeeze that extra info onto your wedding invitation will clutter your card. It’s a good idea to include an accommodations card with any wedding invitation. It’s likely you will have out of town guests and it’s polite to at least provide them with options rather than having them fend for themselves. Blocking rooms at a nearby hotel is a nice gesture and that information should be included as well. More than anything, including a directions card is a personal preference. With the help of Google Maps and smartphones it’s pretty easy for guests to punch in the address and maneuver just fine these days. If you want to provide older guests or out of town guests with direction cards that is always a nice detail. A pocket houses your wedding invitation and enclosure cards perfectly so when they arrive at your guest’s door it’s all in a beautiful package. Alternately, you can go with a bellyband to hold your suite in place. Both envelope options come in 40 different colors and they’re peal and seal which means quick and simple! These unique foldable invitations are an all in one convenient and one of a kind design. These come pre-addressed and have a built in tear-off RSVP too! You can forget about enclosures all together and instead include all your info in one place. These are an amazing and free resource that Basic Invite offers. 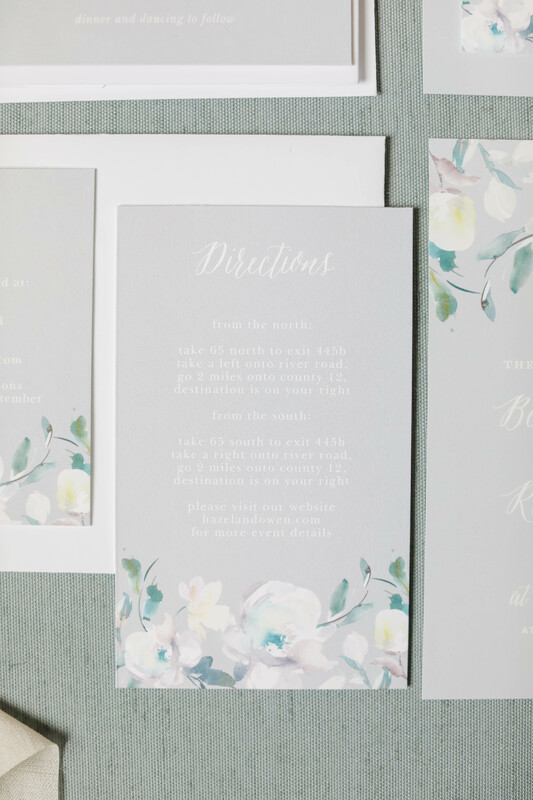 They have tons of templates that can be matched to your wedding invitations and the free address collection service is super handy! Just request your guests to upload their info and there you have it. Easy as pie! All of Basic Invite’s products are customizable with over 180 colors, 100 font choices, various card cuts and paper types and so much more! They offer spectacular foil options too, which includes gold, silver, and rose gold in both flat and raised. All of these options on over 800 wedding invitation styles and all of their other products is truly design heaven! Check out their matching rehearsal invites and cute bachelorette party invitations, too! Now it’s time to head over to Basic Invite and create your custom wedding suite like a pro! Don’t forget to use coupon code 15FF51 for 15% off everything site wide.